2019 holds a lot of excitement for us! Between Women of Color Beyond Belief in Chicago, our recently-announced 2019 Convention at Sea, and many other events, we are hitting the ground running. On January 19th, I will be at FACT in San Antonio to speak, followed by being on The Atheist Experience on the next day. Then on February 7, I will be in Washington, DC at AHA HQ as well! I can’t wait to see you all as my travels bring me to your neck of the woods. I always appreciate being able to engage with our communities across the country. 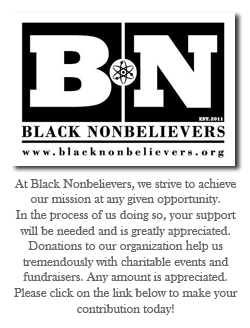 “Black Nonbelievers (BN) connected me to a community of people who are free from religious indoctrination or at the very minimum, willing to challenge and abandon deep-seated religious beliefs. This is a critical part of the process to becoming a freethinker and it can be a scary, lonely and polarizing experience without support and friendship. Elle Reneé. 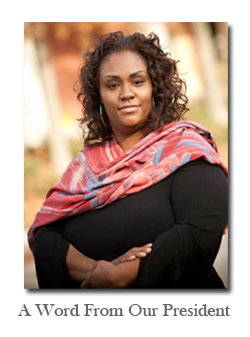 Freethinker and Chief Organizer for BN of St. Louis. P.S. We depend on you as we support chapters all around the country. Please consider a gift to help us keep growing and engaging with our communities! Support the making of Exodus the Documentary!! !